The total climb of this trek is approximately 9000ft/ 2900m – (around 21 miles walking distance). This option allows both Ben Nevis and Scafell Pike to be climbed in daylight, leaving an easy Snowdon path to be climbed at night. 01.00pm Finish Ben Nevis and start drive to Scafell Pike (six hour drive). 10.30pm Finish Scafell Pike and start drive to Snowdon (four hour drive). 07.55am Finish Snowdon, and complete challenge. • COST: approx £130 for car share, 1 night bunk bed and some food. 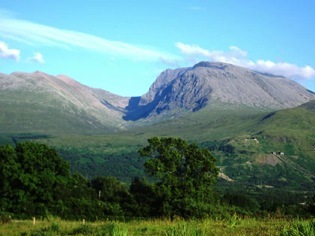 Ben Nevis, the highest of the three peaks at 1344 metres (4409 ft), has only one main path, the path to Ben Nevis starts close to sea level, meaning much greater vertical ascent. 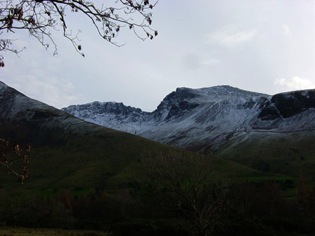 While Scafell Pike has several paths, most Three Peaks Challengers will begin at Wasdale Head, to the North of Wast Water. 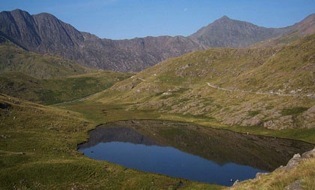 While Snowdon has many paths with varying difficulty, most Three Peaks Challengers will follow either the Pyg Track or Miners Track, leaving from the Pen-y-Pass car park, on the A4086.